Of all the scourges facing contemporary travelers, identity theft has risen through the ranks to become one of the most potent. I’m not talking old fashioned pickpocketing here, or even someone observing you at an ATM. The 21st century sticky fingers move is all about radio-frequency identification or RFID. Many credit cards, passports, and driver’s licenses now come with embedded radio frequency identification chips. An RFID reader can “read” the information on these chips wirelessly. That’s handy in a passport control or retail situation, less so when it’s a thief equipped with an RFID reader who can pick up your information. That can include but is not limited to your name and country of origin from your passport as well as credit card numbers. Now you can either wrap your passport and cards in aluminum foil when traveling, which is certainly cheap but falls a bit low on the aesthetics scale. Or you can shop around for the new breed of RFID blocking wallet. They’ve been around for a while but a new line from a company called Pagalli promises something even more elusive: style. 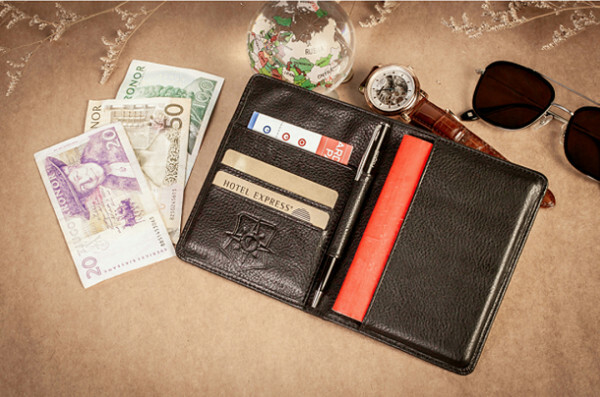 This collection of slim leather wallets claim to offer the world’s strongest ID theft protection and are certified to block 100% of all known RFID frequencies. Apparently, there are 10 current frequencies that you need to be shielded from in order to have peace of mind that your personal ID and financial information will not be lifted by a high tech thief. Conventional RFID blockers only address a portion of these frequencies. They also look as nice as any case you’d want to buy. Of special interest to travelers is the Vincente, which is made from Marchesa leather and has a dashing red Thai silk lining. It also has Cryptalloy RFID shielding foil sandwiched in there. It can hold your passport (two passports, in fact), and a few credit cards. Even when it’s loaded, it remains slim. 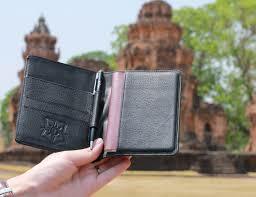 It’s a beautiful thing, resembling the kid of leather passport holder you might find in a small shop in Florence. But for a fraction of the price. At the moment, they’re being sold on Indiegogo, where the price is $59. Two smaller versions, the Moderno and the Leonardo, are also available.